A group of scientists led by Medical Research Institute Sanford Burnham Prebys (SBP for its acronym in English) of California (USA) have discovered a drug that has the ability to eliminate the AIDS virus when it is dormant in the patient’s body. 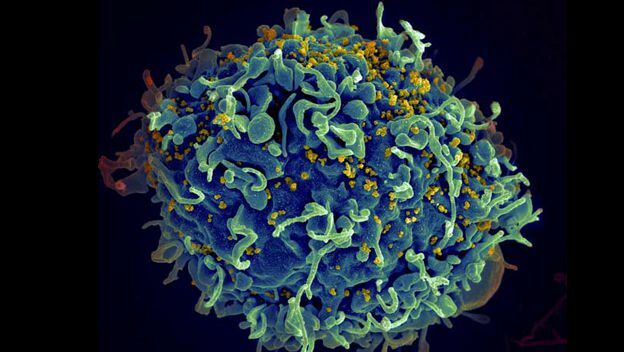 Advances in therapy for the treatment of AIDS with antiretroviral have reduced mortality due to HIV in the world and that patients can live with the disease for decades, but there remains in the body cells remains They have latent virus. Antiretroviral therapy prevents the virus from multiplying, drastically reducing the levels of HIV in the patient’s body that escape immune detection. “If patients fail to follow their antiretroviral therapies, some of these latent cells to produce more viruses wake up and restore the disease”, says Lars Pache, lead author of the research. However, drugs that are working with these scientists, called Smac mimetic, which is already being used to treat cancer, have also been shown to be the ultimate weapon to kill HIV in the body when combined with antiretroviral and other drugs. These drugs get activate the virus remains hidden in the reservoirs by exploiting a backdoor molecular, cellular pathway that can be used as an alarm to wake the virus. 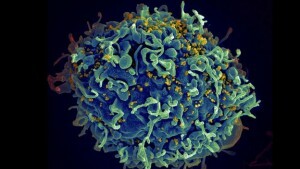 The SBP study began with a broad search for genes into host cells that help eliminate AIDS virus, and the authors found that the absence of a particular gene, the BIRC2, favored HIV activity. Smac mimetics drugs inhibit gene BIRC2 and related molecules, allowing the cells to purge latent virus. The treatment is still in clinical trials, but researchers expect the testing and approval process is quicker because the drug is already being tested for the treatment of cancer.